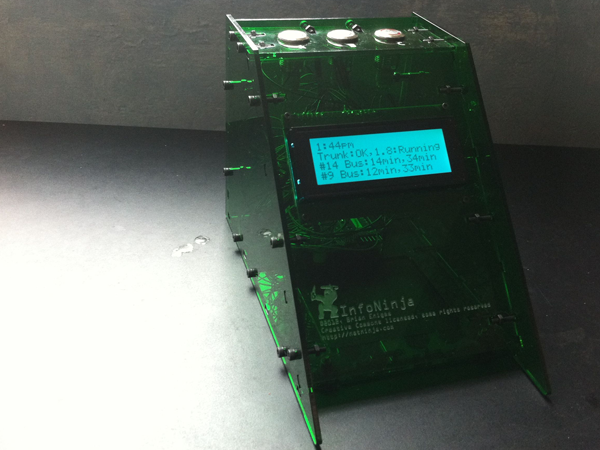 InfoNinja is an Open Source Ethernet-connected desktop heads-up display. It works in tandem with a desktop computer to give you an at-a-glance secondary display of both text and ambient (color/blink/fade) information. It is also a tea timer.